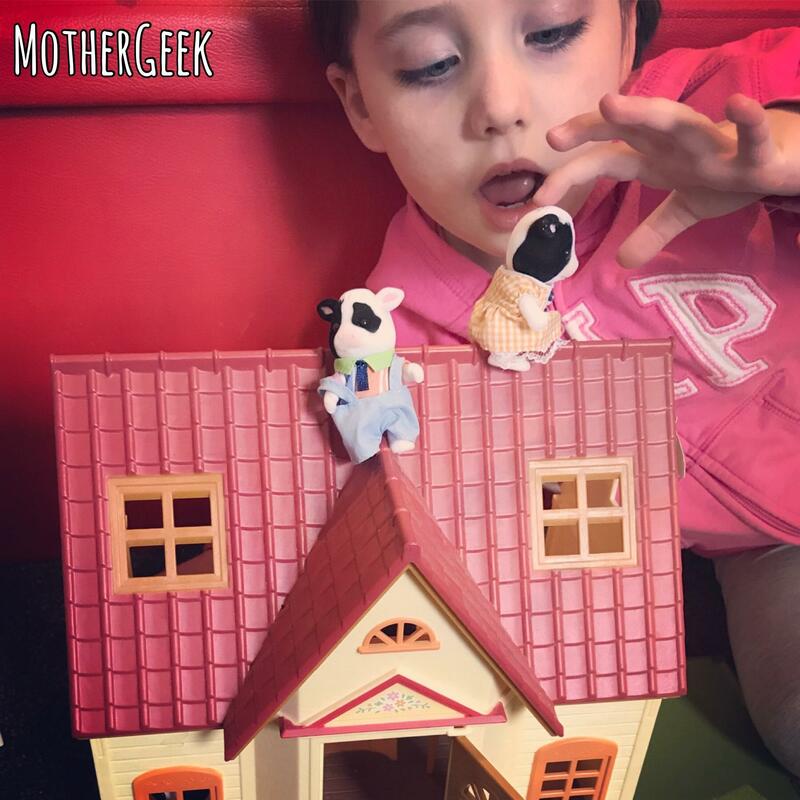 If you read my blog regularly, you’ll know we are big fans of Sylvanian Families. 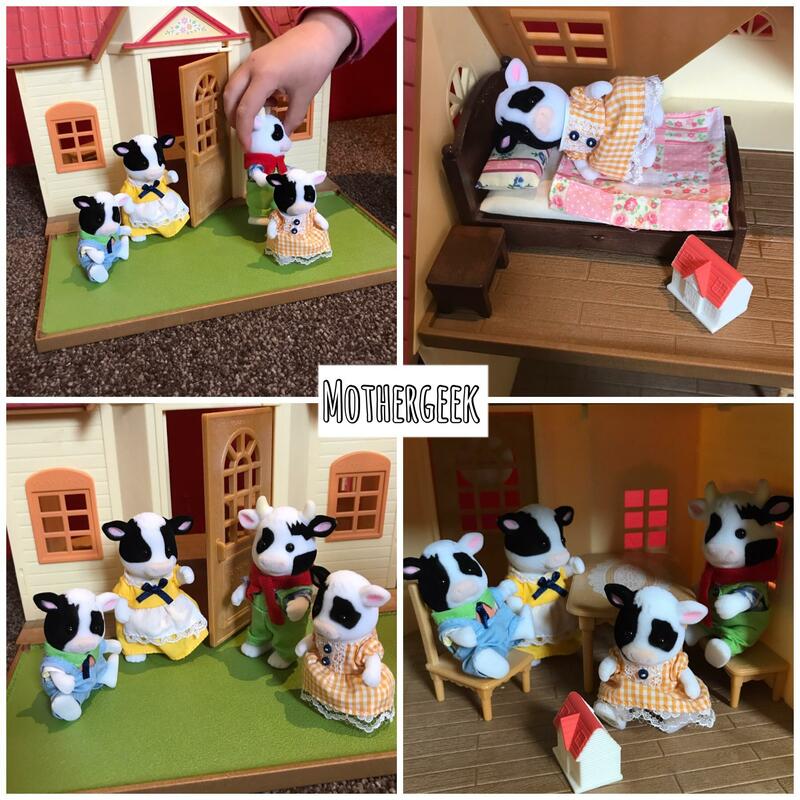 Last week, we received a surprise parcel containing the Sylvanian Families Friesian Cow Family. This is a retired set now, so it’s really hard to get hold of, which made it even more exciting! I’m not sure who was the most excited when we opened the parcel…. Syd or me! Firstly, as the video shows, the Friesian Cow Family set is suitable for children aged 3 and over. Additionally, all 4 cow figures are great quality, and they are all dressed in super cute clothes. Finally, all 4 figures have posable heads and limbs, so they can all sit or stand easily on hard surfaces. (Deep carpet is a bit tricky for them, admittedly). The set had an RRP of £16.99 before it was retired,. However, they are hard to find now, so you may pay more if you want to add them to your collection. This Sylvanian family are the same great quality I’ve come to expect from Sylvanians Figures. They are all built to last, and I expect they’ll be played with for years to come. All told, I’d highly recommend them, along with all of the other Sylvanian Families animals we’ve had to date. 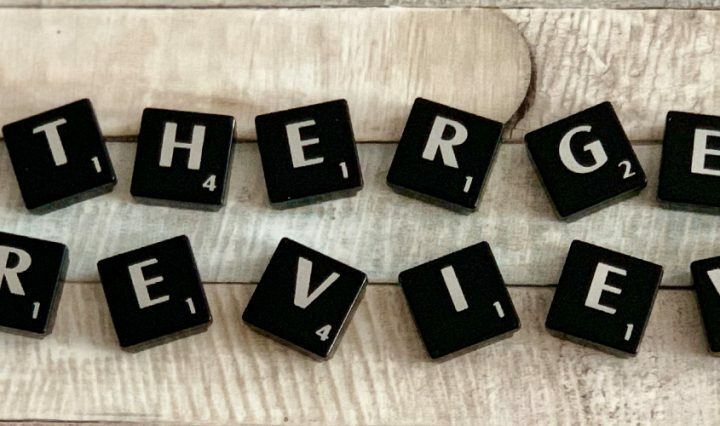 Finally, if you’re a fan of Sylvania Families, why not check out more of our Sylvanian Families blog posts?